God loves you! As Disciples we are called to love one another! Adoration of the Most Blessed Sacrament: Wednesdays, 8:30 AM – 6:00 PM, with benediction If you would like to volunteer, please call the parish office. Our Lady of Perpetual Help is a parish family who embraces the call to holiness in order to know, love and serve Jesus Christ. 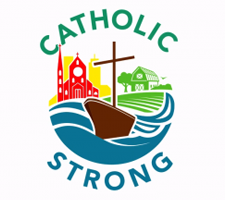 As a culturally diverse Catholic community filled with the Holy Spirit, we commit ourselves to proclaiming the Gospel and to reigniting God’s light and love within each person. 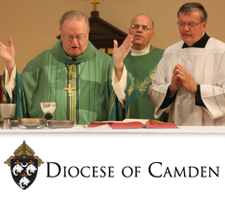 Strengthened by sacramental worship and prayer, we embody compassionate outreach in our ministry and teaching. Our discipleship emulates the Blessed Mother in her humility and faithful service as we join in the mission of Christ to transform the world. Anyone needing to receive a low gluten host is to inform an usher 15 minutes before Mass. The Usher will tell the sacristan and the deacon & priest. The host will be placed in a special pyx. At communion time, once the Extraordinary Ministers come up to the Altar, please make your way to the front of the pews to receive the low gluten host before anyone else receives. Thank you for your cooperation. 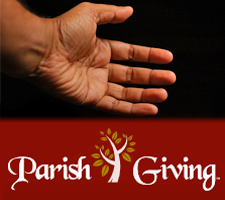 Donate to your parish while you shop at Amazon! Simply click this link to Amazon Smile, agree to support “Our Lady of Perpetual Help Parish” with your purchases, then shop away! It’s a one-time setup that applies to all eligible future purchases. 0.5% of your purchase will get donated back to OLPH Parish. Sounds small, but it adds up. Thanks for your continued support.